“No” came from my husband – despite attending a parenting class required by the preschool our youngest attended, where the number one lesson was “don’t just say ‘no’ to your child or that will his first words. Fail. But “It’s not perfect” came from me. But I never thought of myself as a perfectionist, at least when it came to anything that affects me. When it comes to my son, any of my sons, my husband, the people I love and care about, I do only want perfection for them. That’s always been the case. My fingers freeze over this keyboard – if it can’t be perfect, it can’t be posted. I realize that this need for perfection has, late in life, poured over to myself, my own goals. I achieved two very important goals last year – qualifying for Boston, and getting a new job, a job relevant to my education and, more importantly, my interests. I was somewhat relentless in that pursuit – sick of settling for less than my goal. I pushed and I pushed myself until I got there – even if it broke me (as my marathon finish did for several weeks). I created this blog to force myself back in the habit of writing again. To make writing a daily habit, has I’ve made running and everything else that is important in my life. But I’m paralized with fear everytime I begin to write, fearing that what the year will reveal is that I’ve got nothing to write, I’ve lost my style, and I’ve lost my voice. That is the most honest thing I’ve every written. I know it’s not perfect, or poetic, but hopefully it is not prophetic. I am a runner. I’m not a professional runner. I’m not a competitive runner. But I am a runner. I am also a mother. There are many mothers who identify themselves as ‘mother runners.’ I used to, but it never quite felt right. I realized that the reason the phrase didn’t resonate with me is because the phrase ‘mother runner’ implies (to me) that being a mother shapes the type of runner I am. But for me the opposite is more accurate. 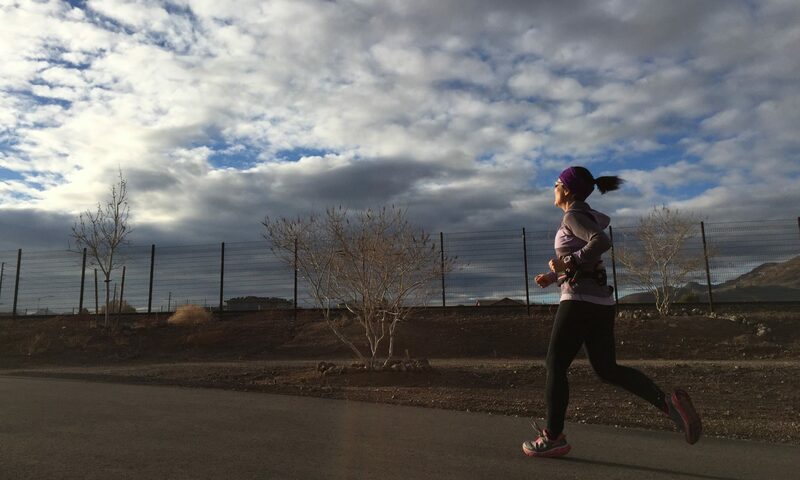 Being a runner has shaped the kind of mother I’ve become. Being a runner has shaped the kind of wife I am, the kind of worker I am, the kind of friend I am. Because in each of those roles, I am always thinking through life as a runner. Everyday, I’m a runner. I wanted to document my journey as a runner over the course of one year. So that’s what I’ll be writing here. There probably won’t be many (any) product recommendations (I’m a horrible sales person anyways). It won’t always be bright and shiny. I’ll be honest about my ups and downs. How did running shape my life today? It got me out of bed earlier than I wanted to on New Year’s Day to run in a 5k with my husband and our two boys. My older son is a runner; although he’ll graduate from high school soon and with that, leave his cross country life behind him, he has already begun to set his sights on longer distances. In my heart I think he is a marathoner, he just doesn’t know it yet. My younger son is not a runner – at least not yet. But his enthusiasm for trying to be a runner cannot be denied. Today’s 5k was a challenge – he thought he was more prepared than he was. We have a 10k in two short weeks and I worry that he isn’t ready. But tonight at dinner, he looked across the table at me with a fierce determination in his eyes; he assured me he will be ready. I love him for believing. I believe in him too. Tonight as I wrapped up the first day of the year I found out from a friend that a marathon I’ve been procrastinating registering for had less than 200 spots left. Grudgingly, I registered. Booked the hotel room. Registered my husband for the half marathon. And in five minutes I turned a thought into action. I will try to BQ again. I will try to take a minute off of my marathon time. Less than five months from now. The thought is daunting; I ran my marathon PR of 3:54 (enough for a BQ for 2016) just five short weeks ago, but the pain of that experience is still pretty fresh in my mind. I’d hoped to have more time to emotionally recover from the experience before registering for another. But it’s done now. Talk has been put into action.